Beach please. More specifically, beach camping please. There is really nothing I want more now than go the beach and camp. Those who have experienced sleeping under the stars and being lulled to sleep by the sound of the waves know what I am talking about. My present condition, which limits my mobility and ups my requirements, prevents me though from taking the next ride to the beach. So, for now, daydreaming will do. Made a list before of beach camps hours away from Metro Manila in 2011. 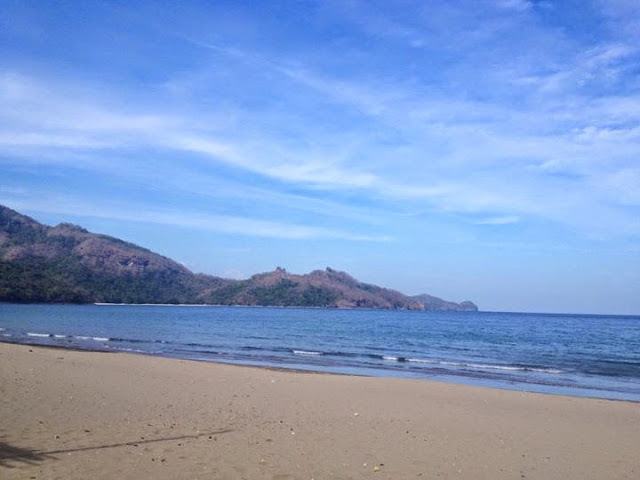 This beach, located a few hours away from Manila, is perfect as a side trip for those climbing Pico de Loro or going on a biking tour in this area. Kaybiang Tunnel is nearby. It is easy to miss though because travelers can be mesmerized by the vista while cruising the road. Anyway, at the entrance by the side of the road, guests are asked to pay fees. This is a private beach. Nevermind the pay, the amount is cheap considering the long stretch of white sands this beach has to offer. According to the caretakers, the hut that we rented used to be a lot bigger and used to house a videoke. Most of it were damaged by a thunderstorm. Actually, a beach without a videoke is a hundred times better for me. Another thing, although the lure of beach camping for me is really going back to basics, clean comfort rooms with enough water available must always be available. This is the only area where Patungan Beach fails but everything else is worth going there for. This one is located inside a marine base so prior arrangements have to be made. I was there to attend the anniversary of the Globe Adventure Club so permits were arranged for us. Being inside the camp, it is usual to see men in uniform so I guess this is the safest beach to camp. It is also not called Boracay de Cavite for nothing. 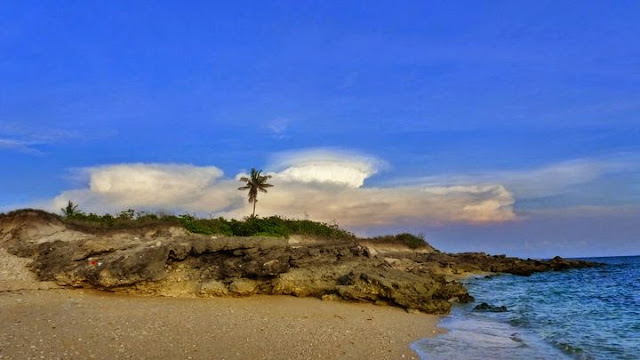 Like its namesake, it got white sand embraced by a green cove. Huts are available for rent. For those who do not want to rough it out, rooms are also available. This is one of the beaches that you must go to now. 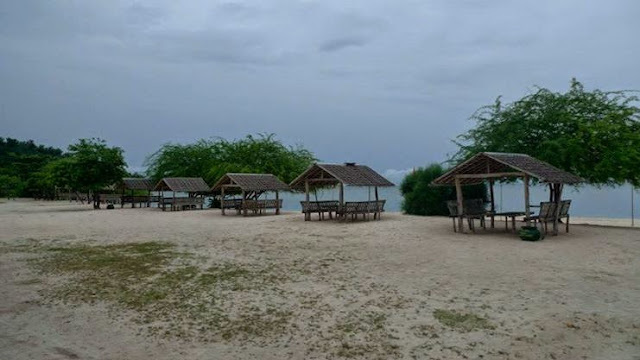 This beach, used to be owned by the Elizaldes, was bought by SM so expect developments in the near future. It is still open for the public, for an admission fee of Php 130.00. Right now, it is still an undeveloped beach - no bars, restaurants and rooms. The only creature comforts available are the mini store and the comfort rooms, which make it the perfect beach if getting away from it all is the plan. 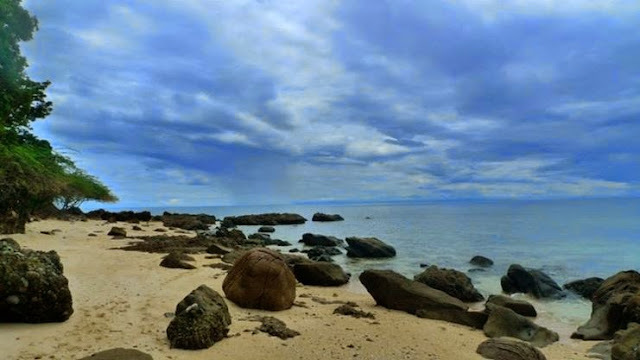 We discovered this beach when we conducted an outreach for the Hanunuo Mangyan tribe of Oriental, Mindoro. It was actually the perfect venue to celebrate our successful project. Buktot Beach is a hidden gem. 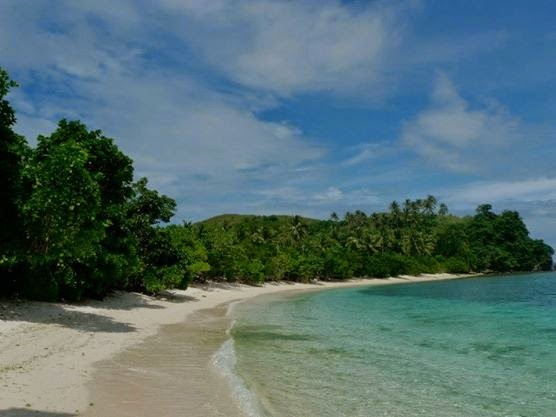 Its white sand is comparable to that of Boracay. It is clean. It is serene. It is inspiring. Mornings are perfect for long walk on the beach. There are cottages, a water source for quick baths and comfort rooms available. It is far from the town though so marketing has to be done before going there. Pulang Daga is located in the gold-rich town of Paracale in Camarines Norte, which is more popular as a jump off point to Calaguas Island. Pulang Daga means red land. There are cottages for rent, with rooms on its 2nd floor for those who do not want to sleep inside their tents. The place also has a spacious comfort room. Water is not available though inside but there is a nearby water pump. The only thing that made me cringe here is the karaoke. In terms of sand quality, it is not Calaguas but it is not far behind. This beach is located way down south, at the southernmost tip of the Bicol Peninsula. It is very far but definitely worth the trip. 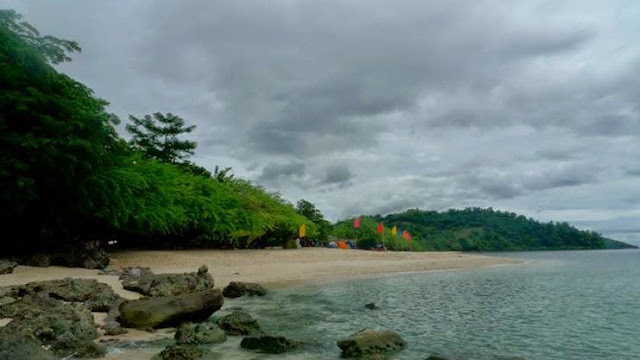 Subic Beach is in Calintaan Island, which is a short boat ride away from the Matnog Port, the entryway to Luzon and Visayas. All arrangements can be made with the Matnog Tourism Office. Its office is located near the port so it cannot be missed. They arranged for us the boat and our cottage in the island. We brought our tents but we also got ourselves a cottage to protect us from the sun and of course, to store all our things. It is also easier to cook inside the beach huts. 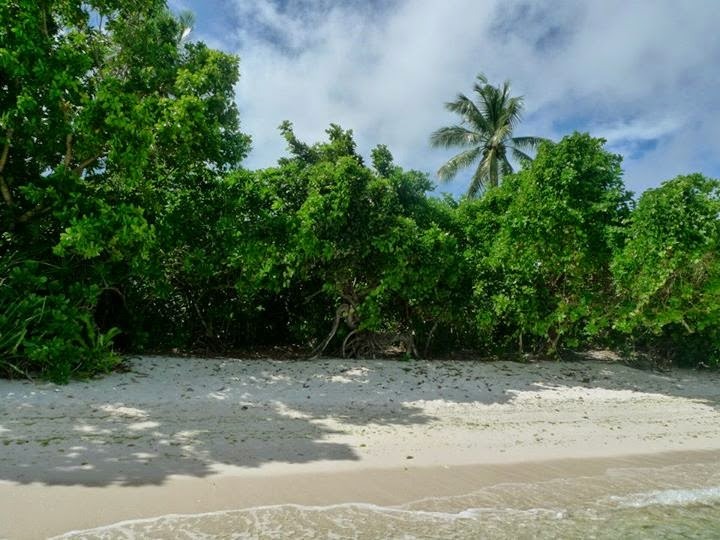 The beach is stunning with its long stretch of white sand, clear turquoise waters, rock formations and trees lining it. 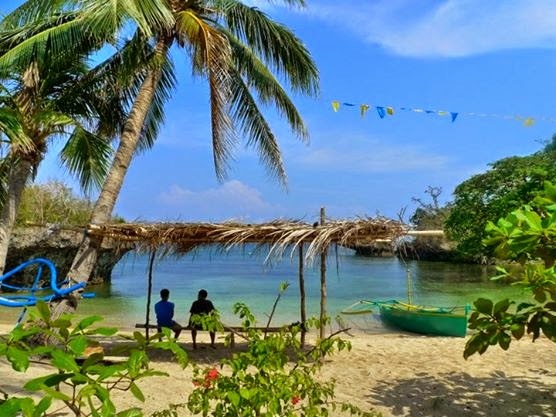 Aside from Subic Beach, guests visiting this paradise way down south can also visit the more solitary Tikling Island, which has a charming tree house and the Juag Fish Sanctuary. 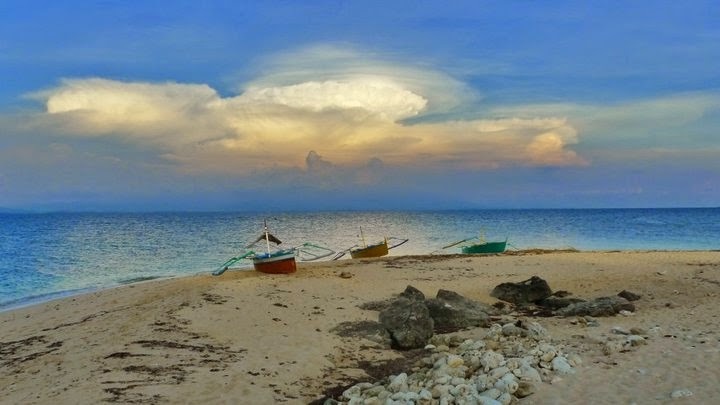 Whenever I think of Potipot Island, I think of the San Miguel Beer ad “Bilog ang Mundo,” which was shot there and which made this white sand island a must visit. The island can be reached via a 5-minute boat ride from the beach of Candelaria, Zambales. When I visited last year, there were tourists on a stand-up a paddle going to and from the island. The island is that near the jump-off point. There are resorts at the jump-off points where families can opt to stay. 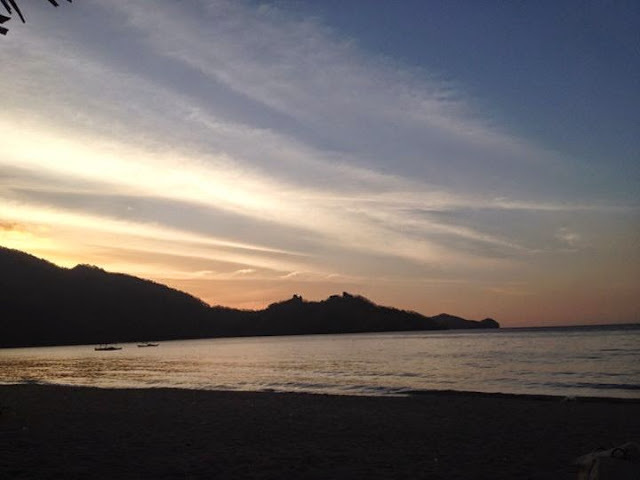 For beach camping fanatics like us of course, Potipot is the best place to spend the night. Just like all the destinations listed here, there are no electricity and no establishments, just comfort rooms and tables. It is actually the perfect place to just relax and enjoy good conversations with friends. 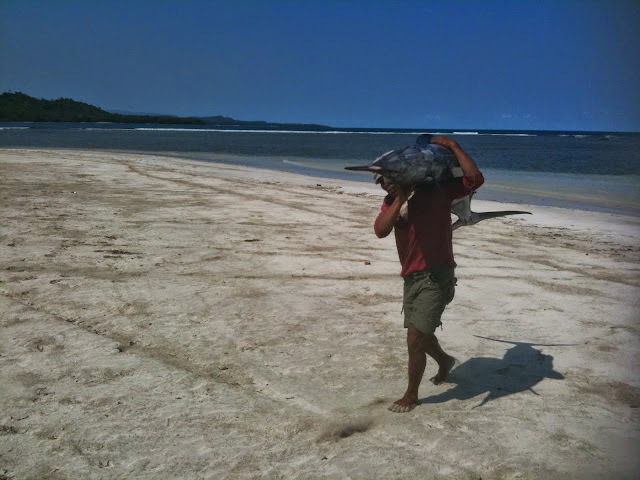 If you are lucky, fishermen can bring in their fresh catch to make it an even better vacation. Come here when the sun is already setting, as there are no shades in this island. There are only four coconut trees here. The rest of the island is all rock formations and white sands. No cottages. No comfort rooms. If you are afraid of snakes, you might reconsider. It is after all Snake Island in English. On most days, travelers can have this island all for themselves, which makes it the perfect refuge. The sunsets are lovely and the waters are clear. 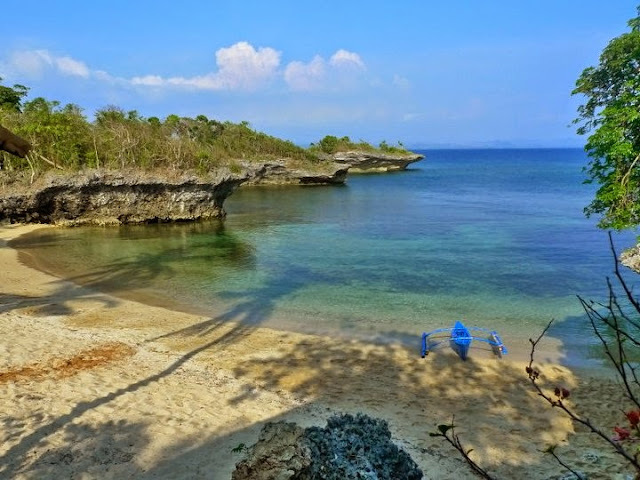 The jump-off for this place is Tambobong Beach, where boats can be arranged, so as side trips to Cabacungan Cave and Balinmanok Beach. We always choose to camp here on our 2nd night to avail of conveniences like comfort rooms. A nearby attraction is a sunken ship, which is a good snorkeling site. This is a private cove. The waters are clear and the sands are good. There is a swing that lets you play on top of the waters. There is also a small cottage that gives a great view of the whole cove. 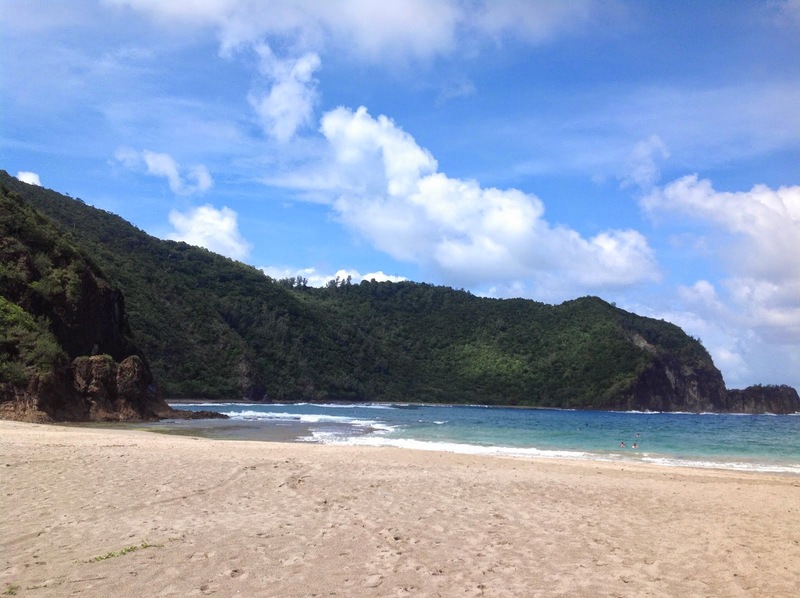 I cannot close this list without adding a beach from one of my favorite provinces. 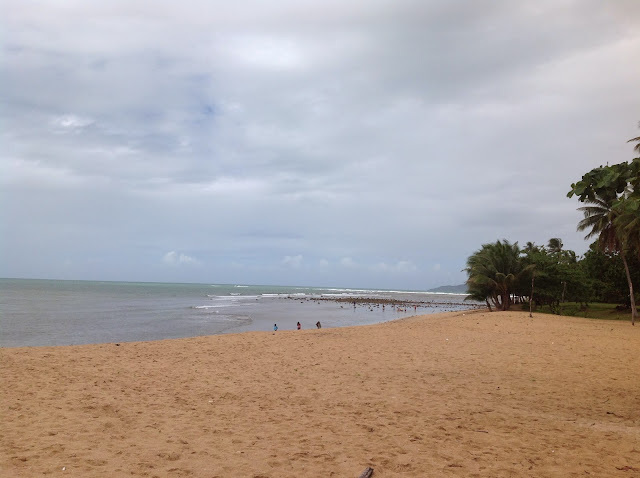 Another favorite beach is Casapsapan Beach. Aside from the white sand and clear blue waters, Casapasapan promises great seafood. There are rooms available for those who want to camp, but that is a waste of fine white sand and quiet surroundings. This is one of the beaches I can keep coming back to whenever I can find time. This is quite far from Manila but again, another one worth the trip.